Sometimes we accidentally forget to flick the light switch when we leave a room, or we keep our cell phone charger in the wall after we’ve charged our phones. We may just shrug it off, not thinking that this is adding too much to the electric bill — but you may be surprised. Believe it or not, there may be quite a few little things you can do that will cause your overall expenses to drop significantly. Things like the aforementioned, who you live with, and even the brands you buy can either add or decrease how much money you shell out. “To err is human; to make budgeting mistakes, totally human as well. Most people are not aware of the little budget traps we get caught in, because life is so busy that it’s hard to keep track of the smaller money details. But being careless can rack up higher bills,” writes Emily Co of Popsugar. Co has compiled a list of 13 things that are causing your bills to skyrocket. 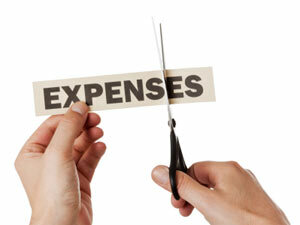 Read on and find out how to lower your monthly expenses. When we are in high school, our curriculum tends to focus on getting us the basics to prepare for life. We learn history, some economics, English, maybe a secondary language, and then of course we have a plethora of electives to choose from. But among that list, we find very little financial background. We are in our freshman year. We may have chosen our major already, but that ultimately does not matter as we are forced to take a variety of courses to give us a well-rounded introduction to the college life. What isn’t necessarily among that information provided? Finance. It seems that finance is only a topic worth considering if you are either A.) Considering becoming an accountant or some other professional that deals with daily financial tasks, or B.) You are old enough to live on your own, work to pave your own way, and pay your own bills. Both of these outcomes, however, may be too late. The best-case scenario is that parents spend the time to educate their children on the topic of financial understanding and readiness, and children take the time to listen and learn about these concepts. What is important to consider is that financial matters are often misconstrued as difficult topics. Fear not, my friends — finances are not a concept that is above our heads. Investopedia discusses this topic about financial education of our youngsters, and provides eight financial tips for young adults. Read on to find out how to educate your children, or, if you are in fact a young adult, how to get the most out of a do-it-yourself financial education. Women vs. Men: Who are the better investors? Does that same famous phrase hold true for investments? Lucky for us, rplan has provided us with an infographic to help tackle this very topic. So, who comes out the winner? Click and find out. It seems like every holiday is a reason for some type of wide-scale sale to lure consumers in. Looking for a new home theater system? 5o percent off. A night out on the town? Up to 70 percent off (thank you, Groupon). A new puppy? Well, that may be a little more difficult to buy. Even on massive sale days, there are still a few things that you might not be able to get too easily. It’s a tumultuous time in America right now as a complete overhaul of U.S. gun laws are being called for; however, there are still a few things harder to buy than a gun — including those fluffy little pups. Quentin Fottrell of MarketWatch has put together a list of five things that are more difficult to buy than a gun at present. So, what are they? Sure, it’s nice to spring for that new 62-inch flat-screen plasma television set, or spend a day out at the shopping mall, but before you do you should be asking yourself one key question — can you afford it? Sometimes it’s difficult to stop and think about your financial situation when you have that dream buy standing right in front of you. Luckily, Lisa Scherzer of Yahoo! Finance has put together a list of a few signs that may indicate you are living beyond your means. Follow the link below to read on. The one day of the year when love is in the air, couples embrace on a park bench to watch a sunset, and your wallet gets 10 pounds lighter. Yes, this day is mostly about showing your loved ones that they are always on your mind, but an argument could be made that the underlying message of the day is to prepare your finances for the Valentine’s Day Financial Massacre. You may be considering springing for that pricey set of earrings, or a luxury evening; however, if your finances aren’t prepared for this costly day, you could take more of a hit than you had originally planned. It’s important for both parties to participate in financial conversations, especially if you’re married. There’s a good chance you will have different views on spending, budgeting and determining how much debt is appropriate. 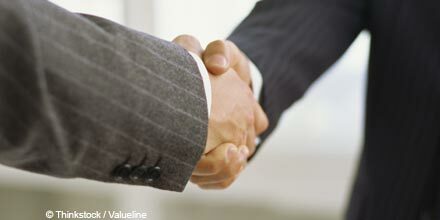 Disagreements can lead to stress, so it’s important to talk things out,” writes Wiles. 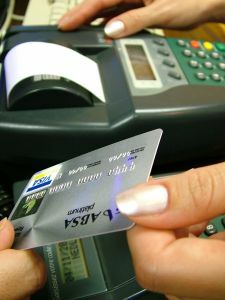 Take a look at Wiles article for more tips for dodging Cupid’s arrow without using your wallet as a shield.